This fruity breakfast ferment recipe couldn’t be easier and can be eaten as pudding with a little ice cream or cold custard instead. 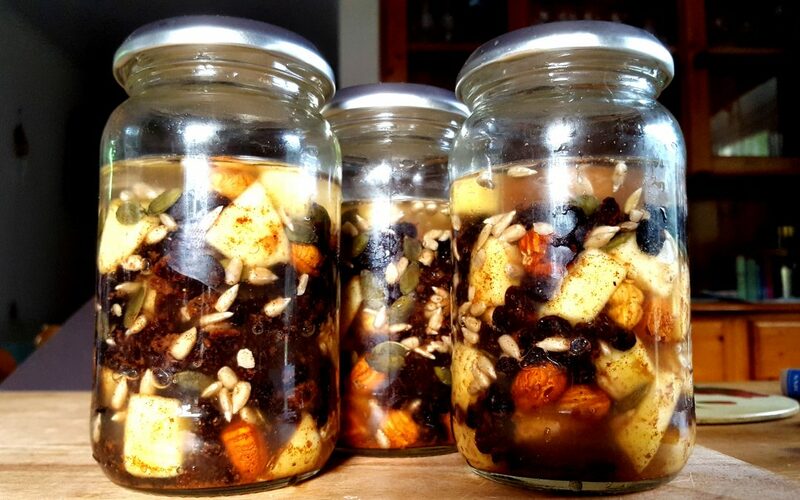 Pack tightly into jars and fill with water to cover the ingredients. Place lids on top and leave on the side, but not in direct sunlight for 3 days. Note: Place in the fridge after no more than 4 days as the fruit will turn the ferment fizzy after this time. The great thing about this recipe is you can use just about any dried fruits, seeds and nuts you like, so it doesn’t matter what you have in the cupboard. Get my new book Cleanse – The Holistic Detox Program for Mind, Body and Soul here. Or my first book Living a Life Less Toxic here. Visualizations… This was one of the things that helped me in my recovery from ME/CFS. Every day I VERY vividly visualized myself walking the..